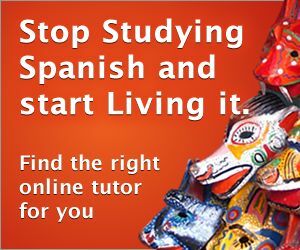 Learning Spanish allows one to better understand the variety of cultures found in Spain and Latin America. Our unprecedented access to people and communities throughout the Spanish speaking world is cut short without a background in the language of the culture of the people who inhabit these countries. Studying Spanish allows us to better understand Spanish culture by breaking the language barrier that prevents people from engaging with each other in meaningful ways. Speaking Spanish provides a way to interact with the locals whoever you go. You will become more culturally aware and the and the benefits you will reap will be immeasurable. When traveling to Spanish speaking countries, knowing or attempting to learn the local Spanish shows a respect towards the local culture. You will want to be aware of differences in terminology when traveling. For example, Mexico, Venezuela, Spain and Cuba refer to the the first floor of a building as the "planta baja", while in Colombia, Peru, and Chile, it is referred to as "el primer piso". In Venezuela, the floor above the "planta baja" is "el primer piso", and above that floor is "la mezzanina". This is all very important if you don't want to get lost. Perhaps you are thinking, it would great to speak Spanish, but I HATE Spanish verb conjugation! Furthermore, I cannot possibly understand ser conjugation and I would rather eat dirt than look at another verb table of estar conjugation. I get it! However, extensive research points to the innumerable benefits of learning a second language, which I have seen personally reinforced in my experience with Spanish. After I finished graduate school, I spent time abroad teaching English to students in Guatemala. While living in Guatemala, I was amazed at the number of people who spoke several languages. While riding on a bus, I noticed the the young man who collected the bus fair had a working knowledge of seven Mayan dialects. I was astounded! I had an advanced degree from Carnegie-Mellon and I could barely communicate in Spanish. The helper on the bus could not earn his $3 per day if he could not communicate in seven Mayan dialects, and Spanish! I also observed in my travels that many Europeans had a working knowledge of five or six languages and usually had strong English skills. On the other hand, I could not speak a word of French, German, or Italian, so I had to depend upon their English skills to have a conversation with them. This put me in a weak position. It also became evident that their previous knowledge of a variety of languages greatly enhanced their abilities to understand new grammar concepts and vocabulary. Reflecting on these differences, it was evident that knowing another language provided numerous advantages in learning additional languages. Hint: If you don't learn anything else, at least learn the Spanish false cognates, these are Spanish words which look like English words but have a very different meaning.